Trimming The Fat: Judas Priest… NOSTRADAMUS! 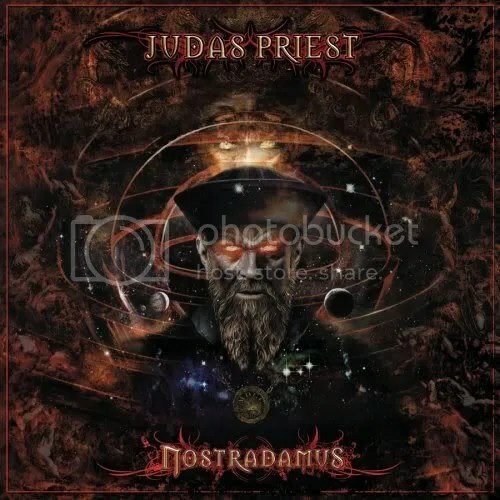 When Judas Priest announced in 2007 that their next release would be a concept album based on Nostradamus, and that it would be a double album, I was less than thrilled. In 2005, the band released their first album with Rob Halford on vocals since 1990’s Painkiller, and it was an enjoyable effort. Doing a concept double album seemed like an unnecessary left turn for a band that had just gotten things back on track a few years earlier. I wanted Priest to get back to their roots–that of a classic heavy metal band–rather than symphonic metal with a bloated sense of importance. Even now, Nostradamus is a chore to get through. 23 tracks and an hour and forty-two minutes long. No sole studio release should be that long! Double albums are fine if you’re talking about live releases or if you’ve got enough bonus material, but anything else is needless filler to me. So, with another installment of Trimming The Fat, I’m going to chop Nostradamus down by half. Whatever story Judas Priest thought they needed all 23 tracks to tell, I don’t care. My goal is to get boil this all down to the very best tracks possible, concept and moody instrumentals be damned. Even if you do pare this double album down to one, you can’t really save it. Outside of a few tracks, it’s not a very good album, but let’s try our best, shall we? I decided to start the album off in a huge way. Other than deleting tons of songs from the original album, the only change I made from the remaining songs was to move “Nostradamus” to Track 1. The rest I left to run in their original chronological order. “Nostradamus” is easily the most Priest-like song on the whole album. On the actual release of the album, this doesn’t show up until Track 9 on Disc 2. The following four tracks (“Prophecy”, “Revelations”, “Death”, “Persecution”) are all solid heavy tracks that may vary in pace, but still let you know that Priest is a heavy metal band. “Exiled” and “Alone” (along with “Nostradamus”) have always been my favorite tracks from this album. They were paired together on the original album and I can’t imagine pulling these two dark & moody numbers apart now. That leaves the hopeful & melodic “New Beginnings” to close out the album. You’ve made it through the storm and darkness and now the album ends on serene & dreamy note. There! That wasn’t so bad now, was it? 8 tracks, 52 minutes and none of those symphonic instrumentals they put all over this album. The album still runs a bit too long for my liking thanks to the length of the songs, but I was still above to shave off about 50 minutes (!) from it. 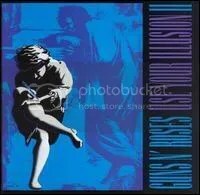 Quite some time ago I took a look at Guns N’ Roses’ Use Your Illusion albums, took the best tracks and laid out what I thought one single album should’ve looked like (never mind there is a UYI compilation… mine is better). Well, I’m here to do that again. The subject? Metallica. The albums? Load and ReLoad. The original plan was for Load to be a double album but with some songs coming along slower than others, this idea was scrapped. 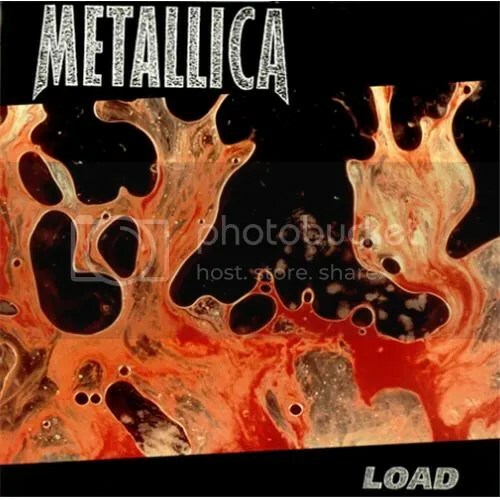 The 14-track Load was released in June 1996 while the band continued to work on the remaining songs and released them as ReLoad (13-tracks and essentially “Disc 2” of Load) in November 1997. Both albums are completely filled with, er, um… filler. Too many tracks, too many long tracks. Load is nearly 79 minutes. ReLoad is 76 minutes. Both albums are WAY TOO LONG. I know it’s fashionable online to bash anything and everything this band has done since 1991 (even 1988 if you’re particularly grouchy) but mid/late ’90s Metallica wasn’t too bad. Were they card carrying members of the Metal Militia anymore? Absolutely not but that doesn’t mean they weren’t able to spit out a few good hard rock numbers… even if those songs did have a southern rock and/or alternative vibe. Corrosion of Conformity, anyone? What is too bad is that Metallica thought they were onto something so special that they felt they needed 2 albums, 27 tracks and 2.5 hours to tell their tale. Of course I profess no great skill when it comes to sequencing the tracks, so you mileage may vary, but I will not budge on “Fixxxer” being the closer. So there you have it. 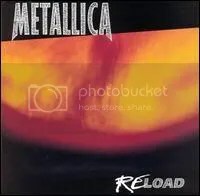 I think these 11 tracks are really the only ones worth listening to from Load & ReLoad and with a running time of a little over 60 minutes, it may still be a tad lengthy but certainly better than nearly 80 minutes! 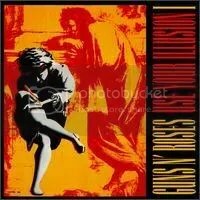 Guns N’ Roses‘ Use Your Illusion I and Use Your Illusion II are both very good releases, but were mired in filler. This is to be expected when you release 30 songs at once though.